Jul 03, 2014 by Edidiong D.
The BEST! 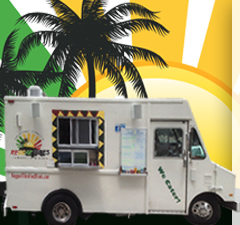 The best Caribbean food truck out there, and I've been to all of them. Authentic food here! So happy I Stumbled upon this food! I enjoyed the chicken sandwich that I had for lunch. I will try this food truck again. I HAD THE CURRY CHICKEN PLATTER; IT WAS VERY GOOD AND PORTIONS WERE GOOD.I THINK I WILL TRY THE JERK CHICKEN SALAD NEXT. This is my second Time eating from this truck and I must say that I am hooked. The jerk and rice and beans are very flavorful. I like that it's not overly spicy but just right. I is becoming one of my favorite trucks to eat at when it comes to 7th street. I was not happy. The portion was small. The jerk spices were mild, which true jerk is spicy. The chicken was not cooked all the way through and tasted more like baked chicken that was placed on the grill to give it a fresh grilled flavor. I was not impressed and will not go back ever again. I got the jerk chicken platter whcih comes with rice and beans and a little lettuce (it might have been a salad). Doesn't matter what it comes with, you are there for the jerk chicken. That was terrific! Just a little spicy with tasty flavors that did not overwhelm. This truck officialy now becomes highly recommended. Reggae Vibes serves Jamaican cuisine in Washington DC. They launched sometime in July 2013.